Sad news today. 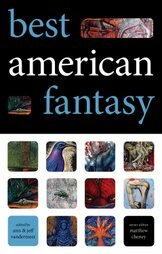 Best American Fantasy is closing down, leaving no fourth volume. Even sadder since Redivider seems to have had four stories on the short list from my two issues as editor, by authors Blake Butler, Matt Bell, Joe Celizic, and Christopher Boucher, and one from the issue before, by Joe Meno.